Marino ThorlaciusI didn’t actually bring back a lot of souvenirs from my trip to Iceland in Fall 2011; a super-warm Kaldi hat (which has served me quite well this Winter), a package of Cronions (though I should have brought back a case), a whackload of photos (ponies! ), my first car accident (cars on the inside lane of their roundabouts have the right of way, fyi), and a deep appreciation for the music of Ólafur Arnalds. I didn’t even catch the entirety of his set at Iceland Airwaves, but what I did see from the 25-year old electronic/classical composer – he on piano and laptop, leading a string quartet and accompanied by elegant animated birds – left a deep impression. I immediately got a copy of his 2010 album …And They Have Escaped The Weight Of Darkness – still one of my go-to escapist records, not least of all because it transports me back to Reykjavik, and have been eagerly awaiting the follow-up ever since. That album is For Now I Am Winter and after offering the first preview track a few weeks ago, he’s now made a second track available to both listen to and play with, as it’s streaming as an interactive web application on his website that allows you to play with the mix in real time, turning channels on and off as you like. Obviously it sounds best as a fully-realized composition, but being able to isolate and analyze the finer details of his work also offers insights into the work. 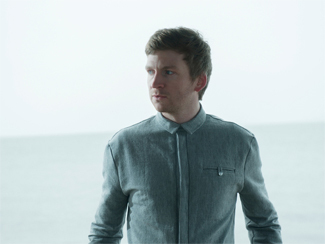 Both advance tracks represent a pretty familiar aspect of Arnalds’ work, but Winter should offer more than a few surprises as well – in addition to enlisting American composer Nico Muhly to assist on the orchestrations, Arnór Dan of Icelandic band Agent Fresco also contributes vocals – yes, vocals – to three tracks. For Now I Am Winter is out February 25 in Europe and April 2 in North America. Sweden’s Deer Tracks will release their new album The Archer Trilogy, Pt. 3 tomorrow and are streaming the whole thing right now at Rdio. Yeah, you have to sign up for their streaming service but my understanding is that a) it’s great, and b) it’s free – at least for now and for Canadians; Americans I’m sure can find a similar deal. The Deer Tracks are here at The Silver Dollar on February 28. The Line Of Best Fit has debuted a stream of another track from the new Shout Out Louds record Optica, due out February 26. They play The Opera House on May 14. Spin has an interview with German electro-gaze auteur Ulrich Schnauss, as well as a stream of his new album A Long Way To Fall, out tomorrow. Weird World Record Co has posted a stream of a new/old song from Melody’s Echo Chamber, the original version of the song that would be transmogrified into “IsThatWhatYouSaid” on last year’s self-titled debut. Clash talks to Veronica Falls about their new record Waiting For Something To Happen, out tomorrow. They play The Garrison on March 12. Foals guitarist Jimmy Smith talks to Consequence Of Sound and frontman Yannis Philippakis to The Fly about their new record Holy Fire, in stores tomorrow. James Blake has offered some context to the Spring tour that brings him to the Danforth Music Hall on May 4; Under The Radar reports his new album Overgrown will be out April 8 and the first video from it surfaced this weekend. Hat tip to Gorilla Vs Bear for pointing out the HD video of Jessie Ware’s radio session for KCRW. She’s in town at The Opera House on April 6. State has an interview with Frightened Rabbit, who also offer up a video session to The Line Of Best Fit. They’re at The Phoenix on March 31. Magnet interviews The Joy Formidable for the position of guest editor of their website for this week. They play The Phoenix April 12. DIY has details on the debut album from Ireland’s Little Green Cars. Absolute Zero will be out on May 13, which means they won’t have copies for sale when they play The Drake on March 28. The first video from it is also geoblocked in Canada/North America because sometimes people are awful. Nick Cave & The Bad Seeds are streaming their new record Push The Sky Away at The Guardian ahead of its official release on February 19. They’ve also released a new video starring Ray Winstone and various seedy goings-on. Nick Cave and company are at Massey Hall on March 23. The Line Of Best Fit has an interview with Shugo Tokumaru.